Casablanca may be known for the classic film and it’s Art Deco architecture, but it’s a newer attraction that drew us to the city on this occasion for a day in Casablanca. The Hassan II Mosque is the biggest in Morroco and one of the largest in the Arab world. Completed in the 1990s, after just six years of construction, this is one of few mosques open to non-Muslims and female visitors to Morroco. Built on the seaside, the promenade is surprisingly free of the crowds and touts seen outside major Europen attractions. The only people seen around the mosque are the young boys jumping from its walls into the ocean waves. Tours are held in the intervals between prayers (held five times a day) and a very small group assembles for the guided tour. Tours operate in various languages and include a visit to the prayer room, ablutions rooms, and Hammam. 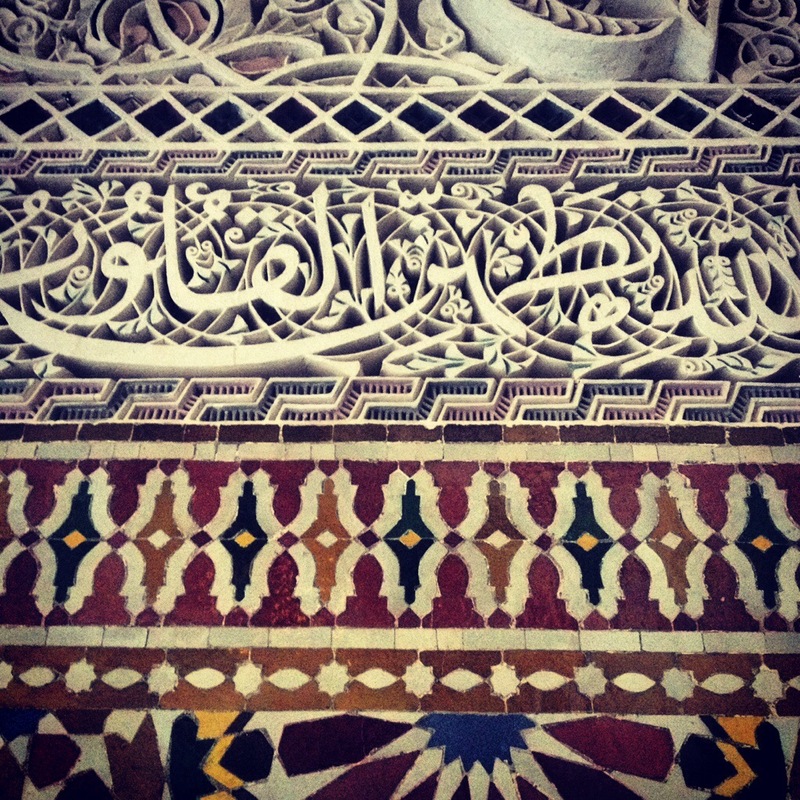 The prayer room is spectacular and comprised of marble, titanium and carved cedar wood. The roof opens to the sky for air conditioning and lets pigeons fly in. The ablutions rooms, where worshipers wash before prayer, are stunning tiled rooms separated for men and women. 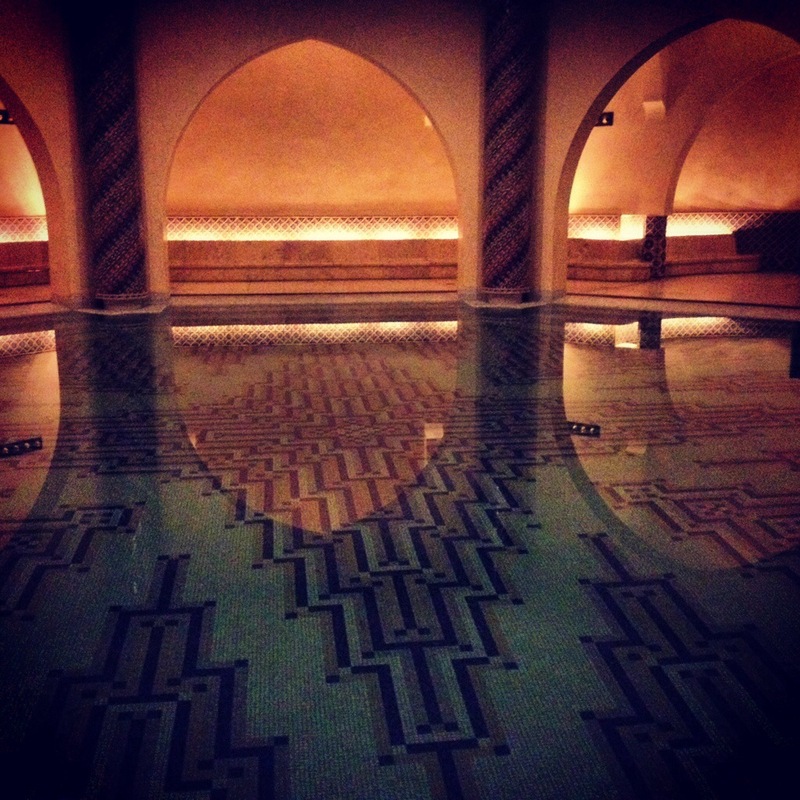 Likewise, the Hammam, traditional bathrooms, are a grand affair. Built but never used, these are just a tourist attraction at present time. Like the pigeons in the prayer room, the lower rooms are home to stray kittens which wander in freely from outside, it’s truly a modern mosque that’s open to every being, even cats.